The most traveled of the overland routes passed this point on its way to the great Platte Valley, highway to the west. The Oregon Trail started from Independence, followed the Kansas River west, and then the Little Blue north into Nebraska. It crossed this divide to reach the Platte near Fort Kearny. In the 1830's trappers and missionaries recognized the Platte Valley as a natural roadway. The first wagon train followed the 2,000 mile trail to Oregon in 1841. An estimated quarter of a million travelers used this route in the twenty-five years after those first wagons. Moving slowly, only 10 to 20 miles a day on the three-month trip, thousands of hooves, shoes, and wheels pounded a wide trail into the prairie sod. Oregon was an early goal. The '49'ers went this way to California. Settlers, stage coaches, freighting wagons, Pony Express riders, and military expeditions all used this prairie highway. 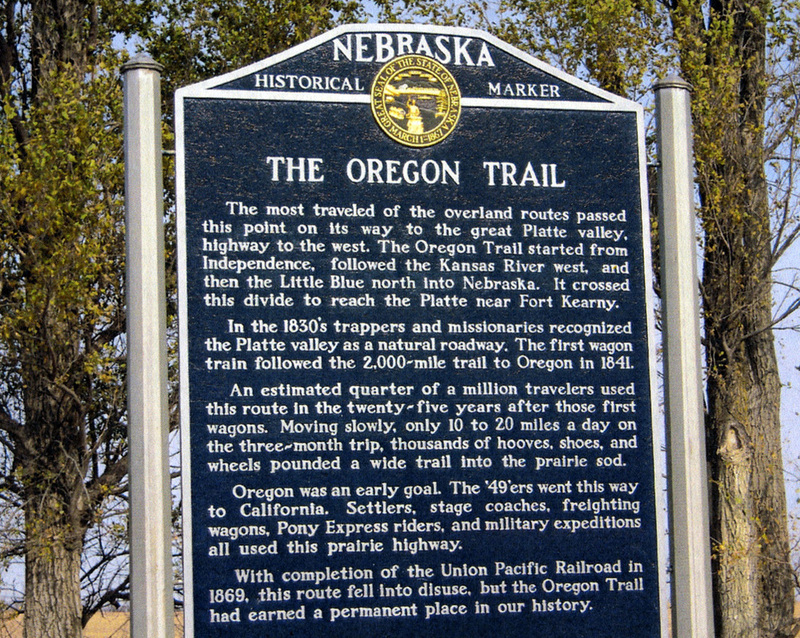 With completion of the Union Pacific Railroad in 1869, this route fell into disuse, but the Oregon Trail had earned a permanent place in our history. 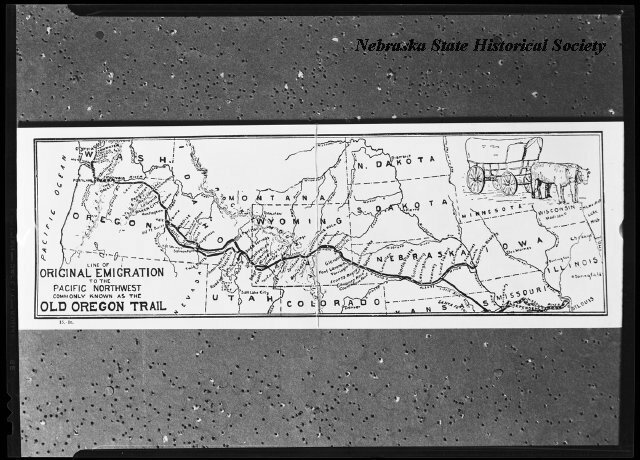 “The Oregon Trail,” Explore Nebraska History, accessed April 19, 2019, https://mynehistory.com/items/show/4.